Here's your chance to offer your views on Laura and LR Eventing. I am a lecturer at New College Stamford for students with learning difficulties. 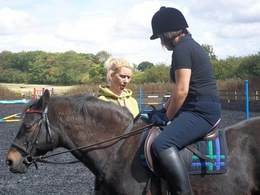 Laura has worked with my students at Chater Valley farm over the last 3 years helping the students to train and gain confidence with horses. Laura works with my students very well and imparts knowledge and skills for them in a away they relate to. 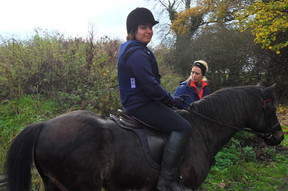 Laura is patient and ensures learners feel at ease when working with the horses . She also is innovative in her ideas to engage students. "Laura, Thank you so much for an amazing pony camp, Charlotte has had so much fun." Fran, David, Mollie, Charlotte & Frostie too! 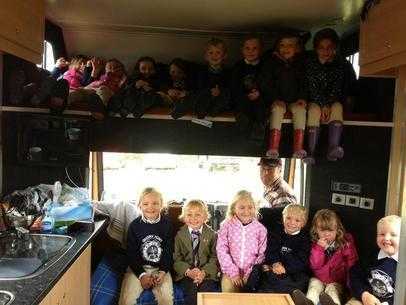 Quorn Pony Club Junior Camp 2013. "I have known Laura and her family for a fair few years and have seen her progression in many different disciplines in this period of time, and many different horses she has competed from low level upwards. She is a professional in all spheres quiet and calm mannered on the ground and on horseback giving the animal a lot of confidence and always patient. I enlisted Laura’s help to hack my show cob few times a week over winter months as due to illness i could not do this for myself and he can be quiet spooky. Shiloh immediately took a liking to Laura and the way she rides she gave him so much confidence out hacking and by summer i had a nearly bombproof horse back. She also competed Shiloh in unaffiliated working hunter classes for me with great results start of season 3rd and 4th placing’s in a very strong class, she rode him beautifully, calm as always and helping him along they had two super double clears. 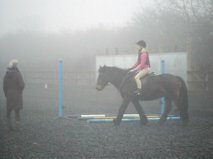 She also put him through his paces at home jumping 3ft 8 and under which helped his confidence in this sphere majorly. Laura has a professional attitude towards work and always puts the horses needs first i would defiantly enlist her help with any of my problems should they arise and to back any of my younger horses.
'' 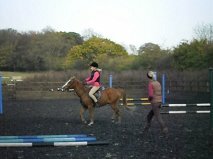 Laura was the first instructor we had at Bulby, we had only been riding for 6 weeks previously at a different riding school, So we hadn't had allot of experience; we had only walked and trotted. Laura put us on appropriate ponies and we walked trotted and even cantered on our first 1/2hr assessment. 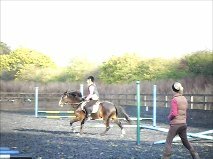 Laura paid a particular attention to our riding positions - in particular our legs and hands and the improvement was great in just one lesson! and our confidence grew a lot over the next few weeks, Laura does constructive criticism in a nice way without making you feel stupid or upset Laura explains things very well and always gives you some guidelines to improve on next lesson. I would highly recommend her teaching, she makes lessons fun and interesting and brings something different each time. Good Luck Laura'' From Shannan and Chelsey aged 13. 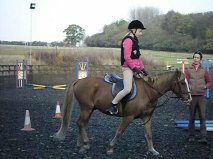 An email sent into to Bulby Hall EC where Laura worked as Yard Manager/Instructor - "Hello, I'm looking to start riding again after nine years. Ideally to share a lesson with my friend ***** ****** who has recommended Bulby and Laura as an Instructor. " "It takes ten years learning how to sit on a horse without getting in his way. It takes another ten years learning how to influence the horse and then a further ten years learning how to influence him without getting in his way!"